Warn you, this is a high risk post if you are a pork lover. High risk to your belly that you may get a good round solid belly after meal, high risk to your image that the food is too good, you get too excited and perform a belly dance in the restaurant. Cute and creative that the gender is clearly differentiated by the ribbon (or bow tie) position. Don't miss this restaurant. You will regret for your whole life. 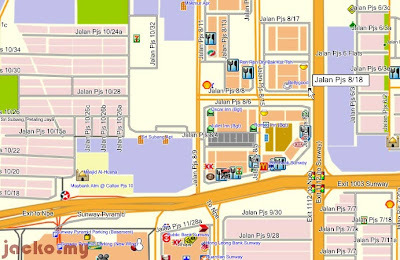 N3 04.609 E101 36.766, Jalan PJS 8/18 or find Bellygood in MFM. It used to be called Wendy's Bistro but received a legal warning from the big company who owned Wendy's chained restaurant in this Bulleh Land. And here's other helpful details or go to the website to find out more. I know some may yell at me 'cause this post should be out half a year ago when they celebrated my birthday in this restaurant. Hehe... Many thanks to the organizer, really a good event and recommendation!